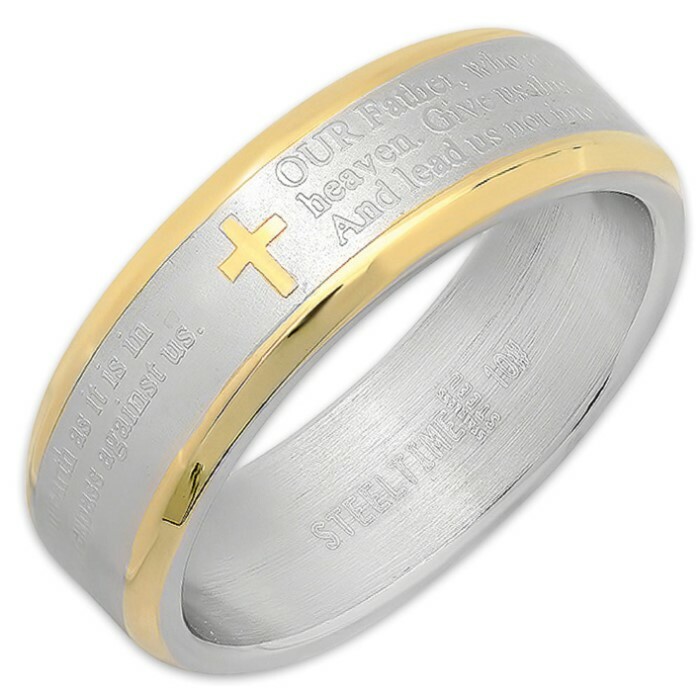 Men’s Prayer Ring - Two Toned With Gold Trim | BUDK.com - Knives & Swords At The Lowest Prices! This elegant symbol of the Christian faith is an intricately designed piece, which features a portion of the “Lord’s Prayer”. The ring is handsomely crafted of stainless steel and has an 18K gold trim. Give this ring as a thoughtful and meaningful gift to family or friends.